The e-Passport is a new type of passport that's was introduced by the government in late 2017 to phase out the old passports. Also known as a biometric or digital passport, the main difference between it and the old generation passport is that it has an electronic chip making it more secure. The chip holds one's biometric information including the information that is usually printed on the passport's data page (names, date of birth, fingerprints etc.). The chip can therefore be used to verify the identity of the passport holder at automated e-Passport gates rather than having it physically inspected by an officer. 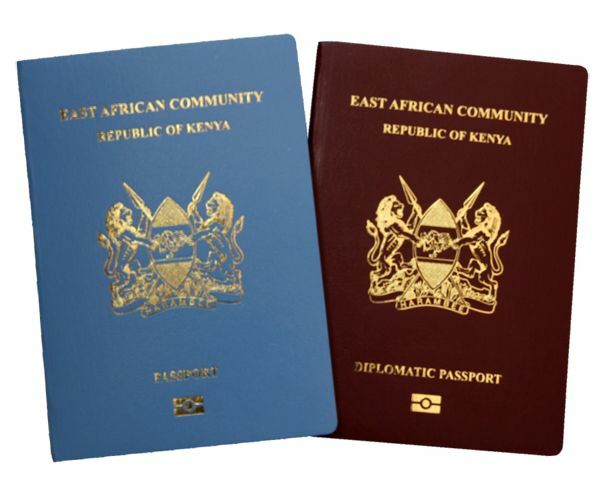 The passport also bears the East African Community title on the front page which was not present on the old passport. 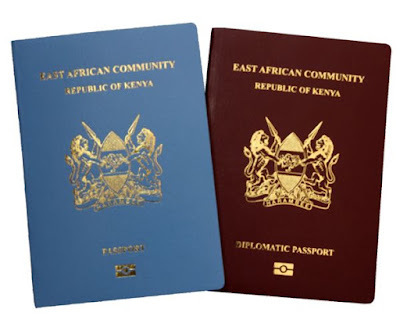 As such the passport is actually an East African Passport. All first time applications for passports as well as those replacing their old ones are to be done on eCitizen. Manual applications are no longer being accepted. 1. Go to eCitizen and log into your account. If it's your first time using the portal, create a new account first. If you've cannot remember your eCitizen password, you can reset it. 2. 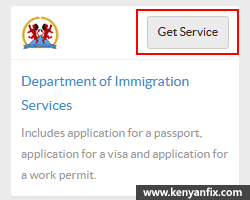 After logging in, click the Get Service button inside the Department of Immigration Services. 3. 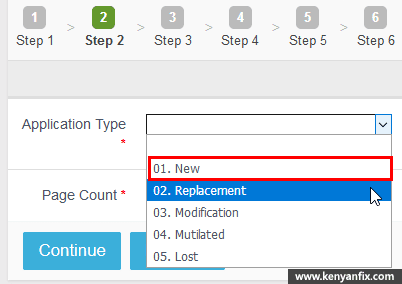 Next click on the Make Application button then on the following page expand the KENYAN PASSPORT section. Below this select either the Adult or Children application if you're applying for a child below 18 years. 4. On the next page read the instructions carefully then click the APPLY NOW button. 5. Now just fill the online form carefully in the provided six steps. In Step 2 make sure to select your Application type as New. 6. In Step 8 select your mode of payment and pay the required fees. The passport fees are determined by the type of passport as shown in the table below. 7. Once your payment is verified, download and print your application form along with 3 copies of the invoice (receipt). 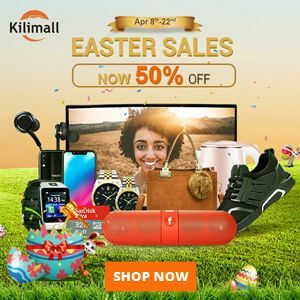 A recommender can be a religious leader, a legal practitioner such as a lawyer, an established civil servant or bank official that knows the applicant but not an immediate relative. You'll now have to wait until when you'll be informed that the Passport is ready for collection. The official waiting period given by the immigration department is 15 days however it could take longer.